Prior to garnishing retirement pay, a creditor needs a court judgment. 1. Is a Retirement Account Judgment Proof? 2. Are IRAs Exempt From Garnishment? 3. Can a Hospital Garnish Your IRA? Garnishment is a legal tool available to creditors to satisfy a judgment against a debtor. 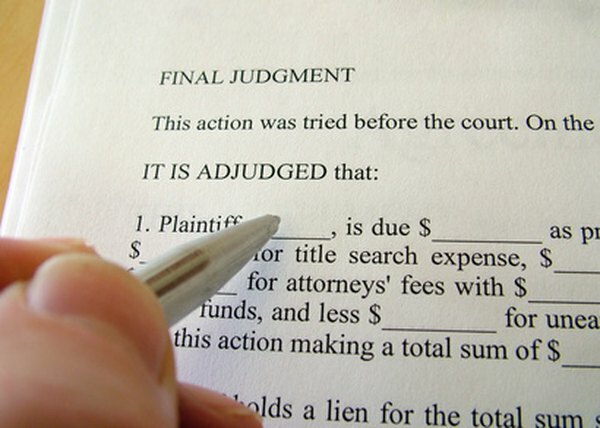 A portion of the debtor's income is taken until the judgment is completely repaid. Garnishment procedures are governed by both state and federal laws. These laws include restrictions on the types of income that may be garnished. Therefore, income from retirement payments such as Social Security or individual retirement accounts may be protected from garnishment by federal or state law. One type of retirement pay -- Social Security -- is generally considered exempt from garnishment actions. However, actions to garnish Social Security are permitted where a debtor owes child support, alimony or federal taxes. When the IRS levies a garnishment against Social Security income to repay outstanding federal taxes, a judgment is not required. Government retirement benefits, including civil service, railroad and foreign service retirement, are considered exempt from garnishment. Exceptions exist for student loan debt or federal tax garnishment actions. Retirement benefits paid to military servicemen or women are subject to garnishments pertaining to alimony and child support judgments. Federal law protects certain qualified retirement plans from garnishment (with the exception of federal tax levies). Individual retirement accounts and other non-qualified plans do not receive such federal protections but may be afforded protection under state law -- for example, Michigan offers exemptions from garnishment for individual retirement accounts, while Oklahoma has similar exemptions for a variety of retirement benefits. In many cases, these accounts are not protected from levy actions by the IRS for delinquent taxes, nor are they exempt from garnishment for child support or alimony. Debtors facing garnishment are always allotted a minimum income to live on because all garnishment procedures are subject to federal and state laws concerning the withholding amount. Federal law permits a maximum of 25 percent of a debtor's paycheck to be subject to garnishment, but state law can impose a lower maximum. This maximum percentage also applies to monthly retirement income. Deposits into a bank account make retirement pay vulnerable to garnishment procedures. Some of the protections against garnishment are applicable only to the funds before they are paid to you. After you receive and deposit the funds into a bank account, those funds may be seized by a judgment creditor from your bank account. Is Supplemental Security Income Payment Considered Taxable Income? What Debts Can Be Taken From Your Federal Taxes?